Home › Uncategorized › Watch out BuzzFeed! 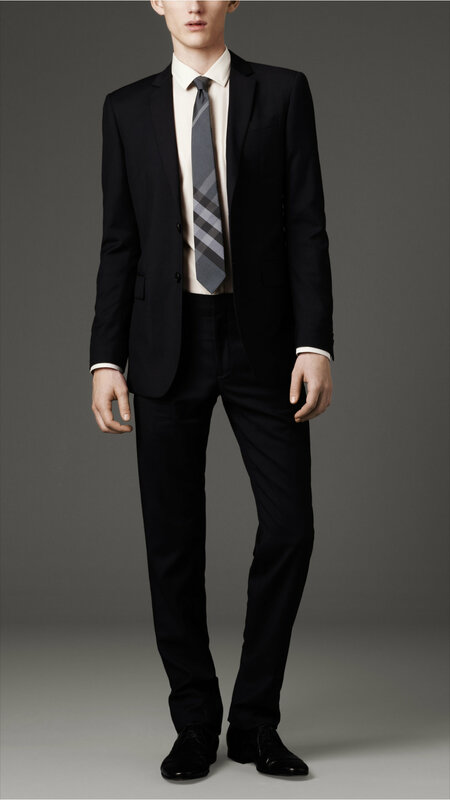 25 items to look out for in the Perfect Suit! The right fit starts with the shoulders. 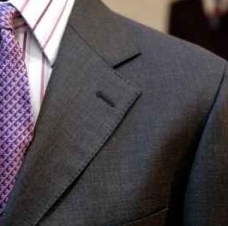 If the fit around the shoulders is snug, that is a good indication of a suit that should fit well. Shoulder Padding should fall straight down from your shoulders. Pads can be added to even the shoulders if necessary. Most off the rack suits come with lining already stitched in. Hence your jacket lining will be standard , non extravagant and will certainly speak to your unique taste. Bespoke suits afford you room for personalization. While most people will not see the interior of your suit jacket, but for those wanting to make their suits truly unique, choosing interlining of your choice is just as important as selecting your exterior fabric. If you are opting for the conservative look, your safest option is to match the lining of your jacket to the exterior fabric of your suit. If, however, you are opting for something bold, a grey suit with purple lining or a navy blue suit with red or burgundy lining will really give you some extra kick. 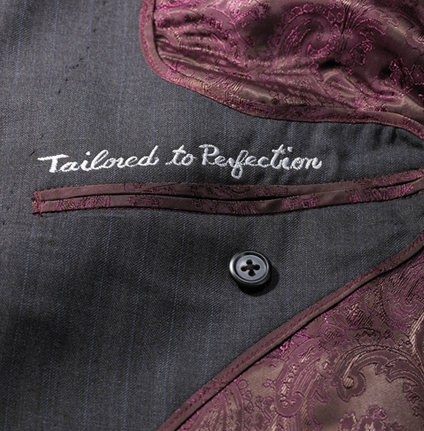 Monogramming is a distinctive feature of a bespoke suit. Monograms are usually embroidered on the inside of your suit jacket and can be anything from your initials to your full name. 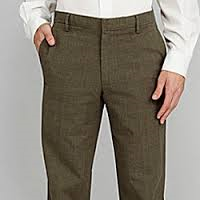 The Front of your Pants can either be pleated or flat front (no pleats). While flat fronts have become increasingly popular, as they accentuate the shape of a man’s body and serve to make us look slimmer, pleats actually serve as a functional purpose. Pleats are folds on each side of the fly and automatically widen at the hip when you sit down, giving you more room when you need it. Pleats also allow you to put more stuff in your pocket. So if you are an ardent fan of the George Kostanza Wallet, please go for pleats. Break refers to the fold above the cuff of the leg, which is created when the fabric of the pant is longer than your leg. Thus the pant line breaks. A full break refers to when the pant develops a crease so large that a second break may ensue, and by extension of that, quarter and medium breaks are milder versions of such heinous crimes. Whether you are buying your shirts off the rack or going the bespoke route, cotton is undoubtedly the fabric of choice when it comes to shirt manufacturing. So what makes cotton so popular? Cotton fibers are highly porous, which makes the fabric light and breathable. This quality also enables the fabric to be dyed easily, making it a natural choice for designers. 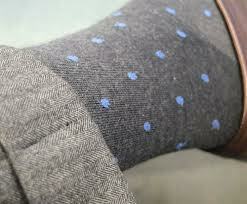 Cotton does not require the maintenance level of some other fabrics such as silk; it does not need to be dry cleaned. However, because the fibers are porous, shrinking of the material is a possibility. While the US has historically been the worlds leading producer of cotton, the title is currently held by China, which produces over 7 million tonnes per year. Sea Island is the American equivalent of Egyptian Cotton, and hence the next biggest thing to Egyptian Cotton produced within US Borders. 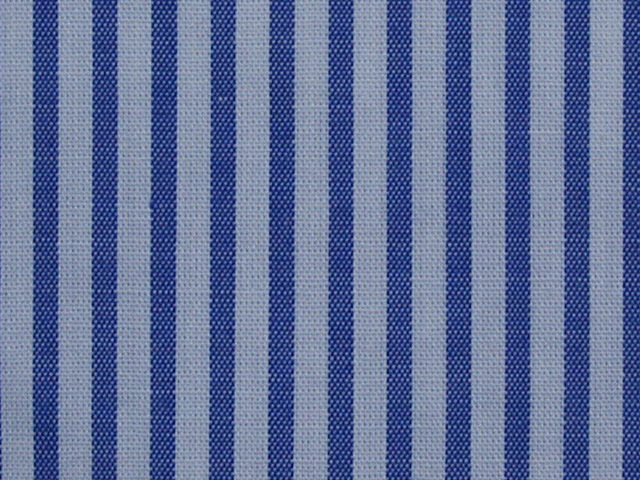 Broadcloth, also known as Poplin, is the quintessential dress shirt fabric. 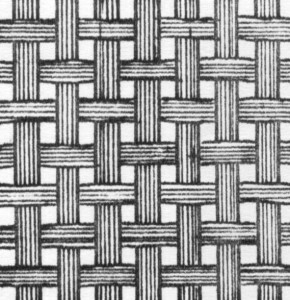 The fabric is manufactured using a simply over / under weave pattern and is generally woven tightly with finer yarns so that the fabric is smooth and silky. 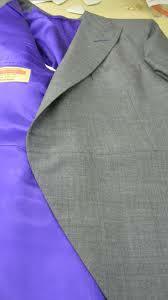 Broadcloth fabric is of much smoother texture and quality than its Pinpoint or Oxford cousins. 14. Collar Straight or Long Point are long narrow collars and are best suited for round or broad faces. Widespread best suited for narrower faces. 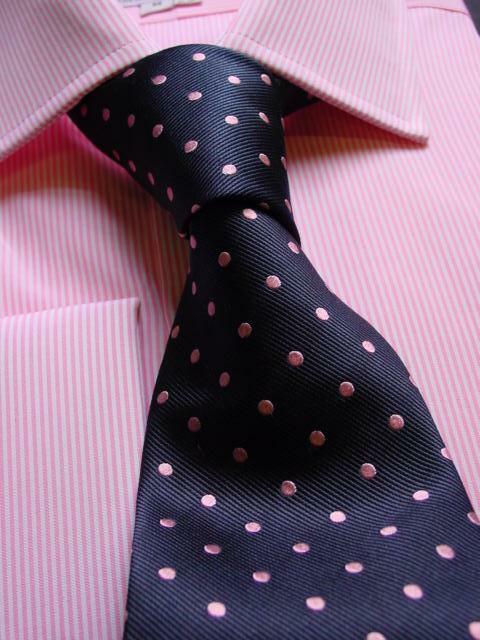 The goal, with your collars, is to either accentuate your vertical lines or reduce your horizontal lines. Hence, if you are shorter or wider, you ideally want to go for a narrower spread collar, to add depth to your vertical lines. 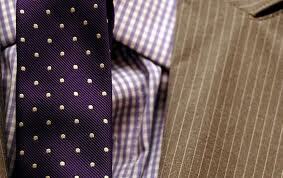 If you are tall or slimmer, you ideally want a wider spread collar so as to increase your horizontal lines! 15. The collar should fit around your neck without constricting it. Ideally, you want your color to be as close to your neck as possible, without making it uncomfortable. 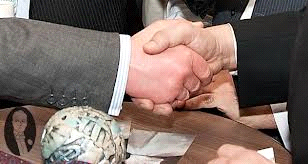 The litmus test is to be able to slide two fingers into your shirt collar without it cutting against your neck. 16. Sleeve openings of a quality dress shirt will have a button opening about halfway up the sleeve. This serves as a functional role and will allow the wearer to roll up his sleeves if desired. When not rolled up, this button should be fastened. Unless, of course, you want to strut some arm hair. 17. The torso should be slim enough so that your shirt has about 3-4 inches of leeway when pulled away from your chest. The shirt should definitely allow some ease of motion. Skin tight shirts are usually not preferable, unless, of course, you’re Jean-Claude Van Damme. Then you can just wear Spandex! 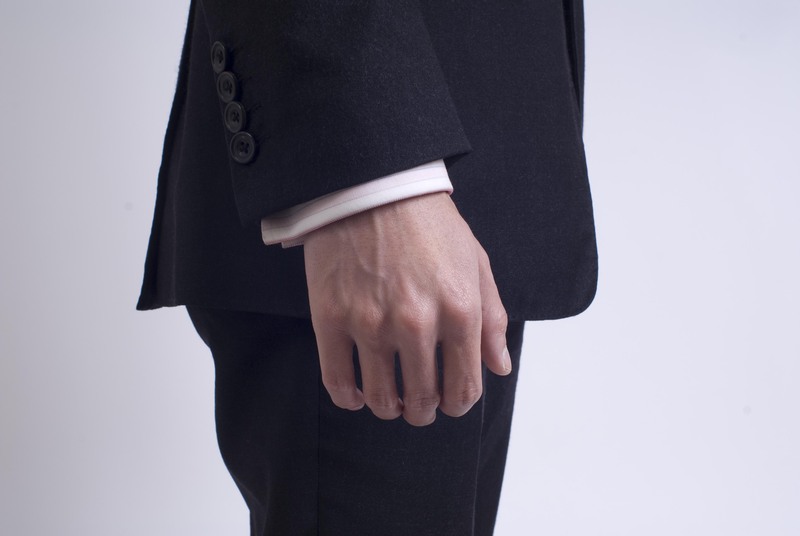 Your Sleeve cuffs should end where your wrist meets your hand, and ideally should be ¼ to ½ an inch longer than your suit jacket sleeve, so as to expose some cuff! Bending your arm should not make your cuff move up your wrist by more than an inch. The four in hand knot is also known as the ‘simple’ knot or ‘school boy’ knot due to its simplicity and style. The knot produced by this method is on the narrow side, slightly asymmetric and appropriate for most but not all occasions. From an aesthetic point, the knot should be worn with narrower spread collars, due to the narrow nature of the tie itself, and also lends well to men with shorter necks. The half Windsor or full Windsor knot is best suited for shirts with a medium or wide spread collar (especially the full Windsor knot). Hence, it can particularly suit taller, skinny men as it serves to widen perceived neck width. The Full Windsor Knot is all purpose, and is appropriate for business meetings, interviews and everywhere else you need to look respectable. 20. When wearing a tie, use a color wheel to determine what colors to mix and match your tie with. In a color wheel, colors directly across from each other complement one another, as do colors that form an equilateral triangle (all sides of the triangle are equal). 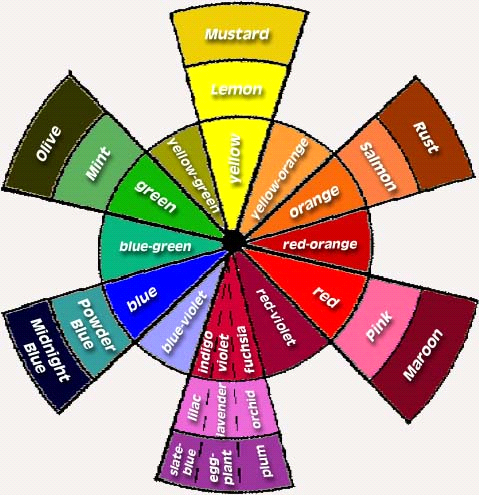 So with a Blue, a direct compliment (most contrast) would be Orange, as it is directly across from it on the color wheel, as would Yellow and Red, as they form an equilateral triangle. 21. When matching a tie to your suit and shirt, what typically works well is to have the dominant color of the shirt as a secondary color in the tie. That way, you have the complimentary color of the tie, along with an element of the shirt in it, which provides both contrast and familiarity at the same time, resulting in an extremely visually appealing combination. 22. With respect to patterns, you either want to choose similar patterns with different proportions (e.g wider striped tie against a solid shirt and narrow pinstripe suit), or for greater effect, different patterns in different proportions (e.g polka dot tie against a pinstripe shirt and a solid suit). 23. A general rule of thumb, when deciding what socks to wear is that your sock should be the same shade or a shade darker than your trousers. 24. Black shoes are generally your safest option unless you are wearing brown pants (in which case you wear brown shoes). Brown shoes go with all pants, but black pants! 25. Complement, don’t match your shirt and / or tie with your pocket square!